AQIM exists not because of the Arab Spring but Algeria’s military coup two decades ago and serious state-building failures in Algeria and northern Mali. 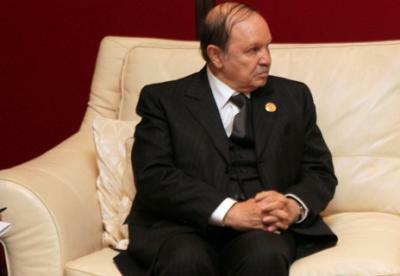 Algerian President Abdelaziz Bouteflika pacified most of the Salafi Group for Preaching and Combat but has not been able to control the breakaway AQIM. Photo by primeministergr. Commenting on the recent Algerian hostage crisis on an international news channel, one terrorism ‘expert’ made a remarkable claim: “al-Qaeda in the Islamic Maghreb (AQIM) was founded because of the so-called Arab Spring, after we abandoned our Libyan ally [Colonel Muammar Gaddafi].” After enduring a few more inaccuracies, I felt compelled to put aside the students’ papers that I was grading. Let’s start by stating the obvious: AQIM is not a product of the Arab Spring. AQIM exists because of the military coup that ended the ‘Algerian Spring’ two decades ago. And it has not been strengthened by the Libyan revolution, but rather by the failure of state-building in northern Mali, the absence of post-conflict reconciliation and reintegration in Algeria, and a lack of accountability for a shadowy Algerian security establishment whose brutal methods have proven woefully inadequate to the challenge. AQIM’s history can be traced directly to the coup staged by a handful of Algerian generals against President Chadli Bendjedid in January 1992. Bendjedid, whose memoirs were recently published after he died in October, gave Algeria its first relatively democratic constitution, lifting the ban on political parties and guaranteeing a minimum of basic rights, including freedom of speech, assembly, and conscience. He was the first Arab president to be criticised on state-owned TV (that is, without the critic disappearing afterwards). Algeria was the first Arab Spring country. But the spring turned out to be fleeting. Fearing threats to their vast economic empire and their grip on high politics, the generals decided to end the reforms, overturn the results of Algeria’s first democratic parliamentary elections, and remove Benjedid from power. In the West, the prevailing narrative is that ‘progressive’ army generals blocked the advance of the ‘fundamentalist’ Front Islamique du Salut (FIS). But that account does not explain why the generals soon allied with another ‘fundamentalist’ group – a faction of Algeria’s Muslim Brotherhood, Mouvement pour la société Islamique – and gave them several top posts, including control of the Ministry of Religious Affairs and Endowments. Eight months after the coup, in September 1992, the Armed Islamic Group (GIA) was founded, soon attracting supporters from every walk of life, including criminal elements and Algerian intelligence agents. By 1998, the GIA’s primary target was not the army, but civilians, rival leaders’ relatives, and FIS strongholds. Western and Arab researchers documented 642 massacres between 1992 and 1998. Most were instances of ‘electoral cleansing’, occurring in districts that voted for the FIS in the 1991 election. The GIA took responsibility for some of the massacres. But opposition figures, former Algerian intelligence officers, and diplomats accused the military of being complicit or even directly responsible for others. Then a GIA brigade in the Kabylie Mountains east of Algiers, calling itself the Salafi Group for Preaching and Combat (GSPC), split off and condemned the GIA’s actions. Part of the GSPC abandoned armed tactics and made peace with President Abdelaziz Bouteflika’s regime, which promised reconciliation, the release of political prisoners, investigations of more than 10,000 disappearances, social reintegration, political rights, and, most importantly, civilian control of the armed forces. Despite the activation in 2006 of the Charter for Peace and National Reconciliation (the legal framework for these issues), most of the promises were never fulfilled. Disappointment was pervasive, with some of the former insurgent commanders publicly arguing that the regime was not honouring its obligations, and that the reconciliation process was a sham. By January 2007, AQIM had emerged from the GSPC faction that did not demobilise. Most of those named in connection with the recent hostage crisis had joined that faction following the split with the GIA. They included Mokhtar Belmokhtar, who passed through all the phases of Algerian armed Islamist activism, from Afghanistan to the Sahel; and Abdelhamid Abou Zeid, who started as a political activist in the FIS party structure, took up arms in response to the 1992 coup, and then became a hardened hostage-taker in charge of one of AQIM’s Sahara brigades. Despite being a breakaway faction of a breakaway faction of the defunct GIA, AQIM demonstrated its operational capacity in December 2007, when it targeted United Nations offices in Algiers and the Algerian Constitutional Court simultaneously, killing 41 individuals and injuring 170. By 2009, AQIM was learning from the mistakes of its mother organisation, the GIA, and its sister organisation, al-Qaeda in Iraq (AQI). AQI not only failed to embed itself in the local context, but had begun eliminating local opponents, fuelling a revolt against it by Sunni militias in 2007. AQIM, by contrast, made a concerted effort to go native, marrying local Tuaregs in northern Mali and taking up their political causes, such as secession. The estimated 1,200 fighters causing problems in Mali today are operating in an area almost as large as France, making it easy to play guerrilla hide-and-seek. In the long run, the West should aim to help the Malian government to build state institutions and reconcile with its northern population. In Algeria, security-sector reform – particularly greater transparency – is long overdue. After all, Western and other governments owe it to the families of the 39 foreign workers killed during the hostage crisis to find out if they could have been saved. The families of the Algerian victims deserve the same from their own government. Then again, so do the families of the more than 150,000 victims of a civil war that began with the turn away from democracy two decades ago. As the recent episode has shown, that war continues to this day. This article was originally published here by Project Syndicate.